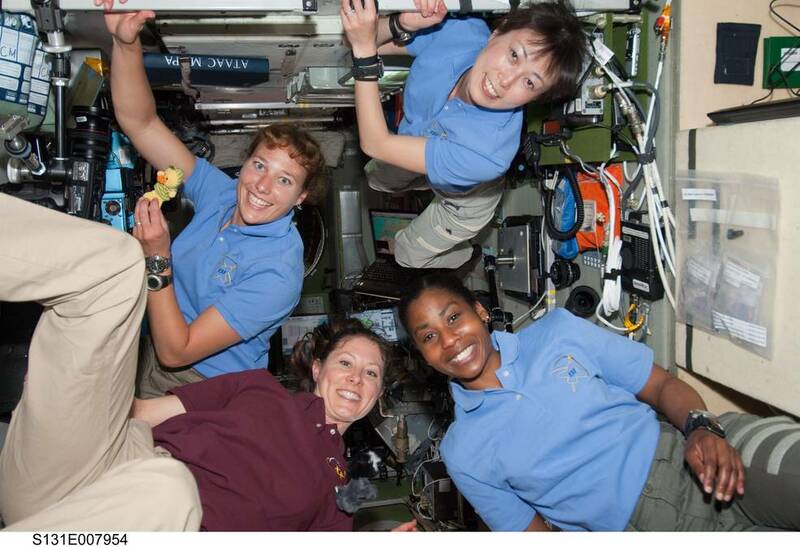 Above, women scientists and engineers working with the Mars rover, Curiosity. 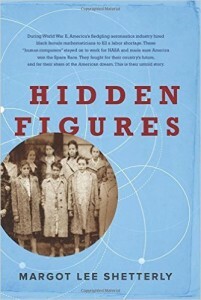 The celebrated movie, “Hidden Figures” shows how, in 1962, three black female mathematicians at NASA, Katherine Johnson, Dorothy Vaughan, and Mary Jackson, working as “ human computers” assisted astronaut John Glenn’s historic orbit of the earth. STEMRules.com is delighted to spotlight unsung black, Hispanic, Native, and other Women of Color engineers, aviators, research scientists, engineers, and astronauts at a variety of space-oriented organizations, and NASA. This listicle is not, thankfully, a comprehensive list. There are many more women like those profiled, but not enough. This feature reports on who these professionals are, what they do, and when possible a bit more. STEMRules has covered some of these individuals previously. Others are taking their star, pun intended, turn for the first time. Ochoa is director of the Johnson Space Center (JSC) and previously was its Deputy Center Director and Director of Flight Crew Operations. 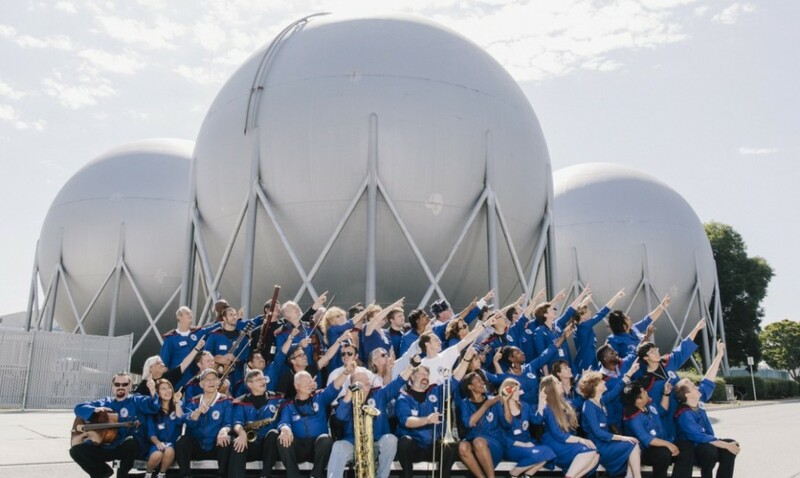 JSC is one of 10 NASA field centers. There are also eight smaller NASA facilities. In 1993, she became the first and only Hispanic woman astronaut to go into space, on the nine-day STS-56 mission aboard the space shuttle Discovery. She marked almost 1,000 hours in space during four missions including on Space Shuttles STS-66, STS-96 and STS-110. Ochoa joined NASA in 1988 as a research engineer at Ames Research Center and two years later, after astronaut selection moved to JSC. The California native has a BS in Physics from San Diego State University and a MS and PhD in Electrical Engineering from Stanford University. Ochoa is the author of several technical papers, and the co-inventor on three patents and has investigated optical systems for performing information processing. 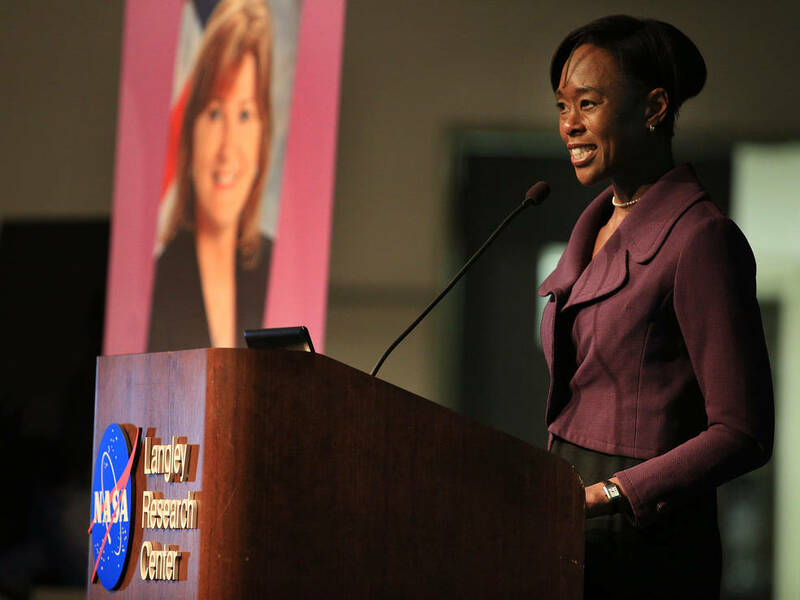 Jennifer Scott Williams loves math and has a key job at NASA. 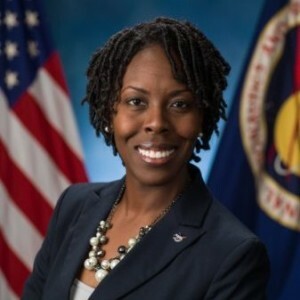 Williams is the Research Portfolio Manager for NASA-sponsored research on the International Space Station (ISS), at the NASA Johnson Space Center. She handles the expense, schedule and technical management of hardware, systems, and capabilities for NASA-sponsored research on the space station. The Spelman College graduate received her BS in Mathematics and dual BS in Electrical Engineering from Georgia Tech. She also earned an MS in Electrical Engineering at the University of Houston. Serena Auñón-Chancellor Awaits a Chance to Fly. Serena Auñón-Chancellor handles medical issues for both the NASA Commercial Crew Program and International Space Station Operations branch. She was selected as a NASA astronaut in 2009, three years after she joined the agency as a Flight Surgeon. The Internal and Aerospace Medicine specialist has not flown into space yet, but has worked in Russia with International Space Station crew members, and was a Deputy Crew Surgeon for Space Shuttle STS-127. Auñón-Chancellor received her BS in Electrical Engineering from The George Washington University and her Doctorate of Medicine from The University of Texas – Health Science Center at Houston. Sheenah Bryant helps astronauts spend more time in space. The native of Idaho is a member of the Citizen Potawatomi Nation. It is one of three tribes that form the Three Fires Council, an alliance of the Potawatomi, Ojibwe, and the Ottawa Tribes. In 2015, Bryant was one of thirteen students awarded a NASA Office of Education Minority University Research and Education Project Aeronautics and Advanced STEM Training and Research (ASTAR) Fellowship. Her BS in Physics is from Boise State University. Jemison is a principal in the 100 Year Starship (100yss) venture. It is a joint US Defense Advanced Research Projects Agency and NASA grant project that includes three private companies working on a 100-year business plan to promote interstellar travel by 2112. 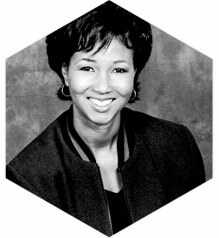 In 1992, Jemison, traveling on the Space Shuttle Endeavour, became the first African-American woman in space. She received her BS in Chemical Engineering from Stanford University and her MD from Cornell University. Jemison retired from NASA, after six years as an astronaut, and has been as an entrepreneur since then. 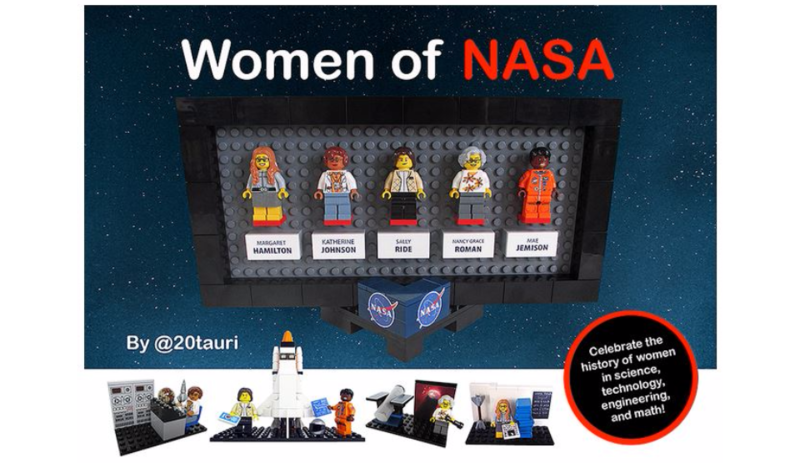 Do you know about the Push for Women of NASA in Legos? This could be a cool way to inspire grade school girls to look to space. Over 10,000 clicks of support pushed Lego to review a Women of NASA in Legos product. The next step is Lego approve, and then manufacturing . The prototype Lego set will feature space pioneers. They are the first American woman in space, Sally Ride, mathematician Katherine Johnson, astronaut Mae Jemison, Apollo mission software engineer Margaret Hamilton, and astronomer and the “Mother of the Hubble” space telescope, Nancy Grace Roman. The set includes tiny Hubble Space Telescope and Space Shuttle, and each woman’s bio. In Look What We’ve Become, Musician Grace Potter and NASA women rock out a collaboration. The history of women in NASA video: Aspire To Inspire: Women in STEM. Alexandria Langford made Legos and internships pay off. As a child, Langford learned about space in middle school, enjoyed building with LEGOs, and built model rockets. She combined her passions for building, and space, by receiving both a BS in Astronautical Engineering, and an MS in Mechanical Engineering from the University of Southern California. When first profiled, Langford was Mechanical Engineer at NASA Ames Research Center. In July 2016, she was hired as a Ground Test Engineer at Sikorsky Aircraft Corp., a subsidiary of Lockheed Martin. At NASA Ames, Langford was responsible for planning, developing, designing, testing, and evaluating mechanical and structural equipment and systems for aerospace and spaceflight programs. Career highlights include conducting research on the benefits of ceramic-coated aluminum rotor blades as an option to improve upon a 20-year- old design for the three-stage compressor in an 11-foot wind tunnel where air flows below, at, and above the speed of sound. Langford says the geekiest thing about her is collecting and building with LEGOs. The non-geek thing is that she is also an androgynous model assisting photographers to build a diverse portfolio for catalogue fashion. The major sports fan grew up playing basketball, baseball, and softball, and as plays basketball every week. Ali Guarneros Luna readied small satellites for space flights. Guaneros Luna lives her dream, and surpasses it. As a young girl growing up in Mexico, she read about the space shuttle missions in an encyclopedia and knew she wanted to study Aerospace Engineering. 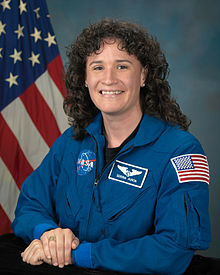 By 2013, she had received both her BS and MS degrees in Aerospace Engineering from San Jose State University and had been hired by NASA Ames Research Center. She currently works as an Electrostatic Discharge (ESD) Program Manager at NASA Ames. Previously, she was a Deputy Project Manager/Test Engineer in the Small Spacecraft Technology Program. It develops Nodes small satellites. Check them out here. Guaneros Luna’s geek attribute is being an ESD expert with technical authority to regulate how the circuits, hardware, spacecraft, or flight hardware is handled during development, building, testing, and shipping. She also worked in the Small Spacecraft Technology Program on Nodes small satellites and the TechEdSat Series. The amateur radio operator also builds non-NASA amateur rockets. Her non-geeky interests include a love of art, playing piano, interior designer, playing sports, cross-stitching, and making stained glass. Apps: Google Maps, Mindjet: a visual organizer. Books: The Martian by Andy Weir, Guns, Germs, and Steel: The Fates of Human Societies by Jared Diamond: PBS Show and book, The Sky Detective: A Memoir by Azadeh Tabazadeh, TV Series: BBC Space Race complete six-part series on YouTube. -Musical artist/group/song: Café Tacvba, Ricardo Arjona, Alejandro Fernandez, Luis Miguel, Juan Gabriel, Shakira, Maroon 5, Maria Carey, Sia, Tiziano Ferro, Gwen Stefani, Pablo Albertan. -Web sites: Rachel Maddow Show, NASA, Kepler NASA. Dream job: To be an aerospace engineer. 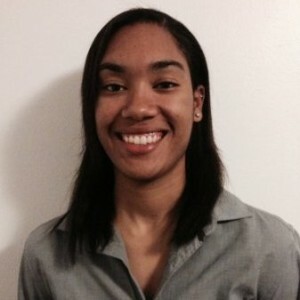 Tianna Shaw ensures the medical safety of space flights. Shaw is a project manager in the NASA Ames Research Center’s Exploration Medical Capability Element. The 25-year NASA Ames veteran leads a multidisciplinary team that identifies, through ground developments and International Space Station demonstrations, ways to reduce reduce the risk of adverse health outcomes and decrements in performance due to inflight medical conditions. Shaw grew up on the Hoopa Valley Indian Reservation in Northern California and is a member of the Yurok Tribe in Klamath, California. 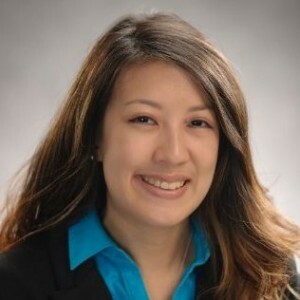 She holds dual Bachelor’s Degree in Biomedical and Electrical Engineering from the University of Southern California, and an MS degree in Biomedical Engineering from California State University, Sacramento. Anima Patil-Sabale is on a mission to be a rocket woman. Patil-Sabale is a Software and Aerospace Engineer, working in the Intelligence Systems Division, on integration projects, at the NASA Ames Research Center. “I am pursuing my childhood dream even at this stage in life. I never got to pursue it in India. Plus, it’s never too late, “ she told STEMRules. She wants to be an astronaut. 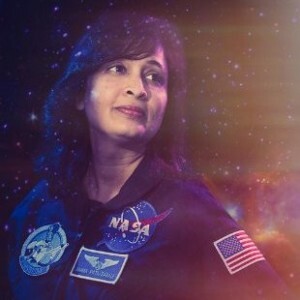 Patil-Sabale was a Scientist-Astronaut Candidate for the sub-orbital Polar Suborbital Science in the Upper Mesosphere (Project PoSSUM) and has been selected to be a Scientist-Astronaut Candidate for Physiological, Health, and Environmental Observations in Microgravity (PHEnOM) project. Previously, she was Senior Principal Software Engineer on NASA’s Kepler Mission to survey a portion of our region of the Milky Way galaxy. Patil-Sabale has an MS in Aerospace Engineering from San Jose State University, a Master of Computer Applications and a BS in Physics from North Maharashtra University, India. What’s the geekiest thing about her? She says it is continuing to want to learn new things or studying at age 40. That is important habit, because astronaut must keep updating their skill sets and adding new ones. On the non-geeky side, Patil-Sabale has sung and choreographed dances since she was in school. Books: The Martian by Andy Weir, Shreeman Yogi by Ranjit Desai, Pride and Prejudice, and anything on space adventures :). Social pages: My Astronaut Aspirations, her Facebook, and her Linkedin. Movies: The Martian, Interstellar, Star Trek, and, even, the Star War saga! I like any good, adventure (gore-free) space movie. Music: I am a music lover and an amateur singer, so I like any soulful music. I love oldies and some new Bollywood. Unchained Melody by The Righteous Brothers, and Nothing’s Gonna Change my Love For You have been my favorites. She says her 13-year-old introduced recently her to music website, 99.7 FM. Podcast: My interview in my mother tongue, Marathi. Vanessa Kuroda works on miniature satellites heading to deep space. Kuroda has come a long way since her university days as a Fly Girl, on campus Hip-Hop team. A key were her internships at the NASA Jet Propulsion Lab, Raytheon Space and Airborne Systems, and Northrop Grumman Mission Systems. Today she is a Spacecraft / Satellite Communications Engineer at NASA Ames. There, Kuroda says, she works on every aspect of communications systems for spacecraft. The goal: to ensure they talk to Earth and each other. To do so, her portfolio includes mission design, signal strength analysis, hardware test, and operations. The things she does include being Communications Subsystem Lead for the NASA BioSentinel 6U CubeSat Mission, and helping to build, integrate, test, and operate LADEE, the Lunar Atmosphere Dust Environment Explorer. Kuroda is also a Communications Officer for NASA Ames’ Women’s Influence Network, and an organizer for the Ames Early Career Network. She earned her BS and MS Degrees in Electrical Engineering at the University of Southern California. When not a work, Kuroda is a professional Hip-Hop dancer. “I’ve been dancing all my life, got to dance with the Black Eyed Peas in the Kids’ Choice Awards, and should be getting more professional gigs soon!” she writes. Apps: Feedly, an RSS feed, and Happier: Celebrate the Good Around You. Book: Currently, The Sky Detective: A Memoir – How I Fled Iran and Became a NASA Scientist by Azadeh Tabazadeh, a former NASA Ames scientist. Musical artist/group/song of the moment/past: Kygo. I’ve had many other favorites in the past. Twitter feed: Again, all the NASA and space-related ones. While the Hubble Space Telescope continues mapping the universe, a global consortium of scientists are finishing its replacement’s ground tests. In 2018, the James Webb Space Telescope (Webb) will be launched to survey nebulae, stars, and galaxies in spectacular, informative detail for astronomers worldwide. Viviana Acosta ensures that stars are observed. Acosta was hired as the Chief Engineer at the Space Telescope Science Institute (STScI) at The John Hopkins University, in May 2016. 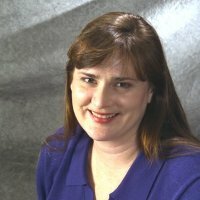 Her brief in STScI’s Operations and Engineering Division Data Management System area includes responsibility in the Webb, and the Hubble programs. The former leader in the Society of Hispanic Professional Engineers was a Senior Lead Engineer at Booz Allen Hamilton, and worked at Lockheed Martin. 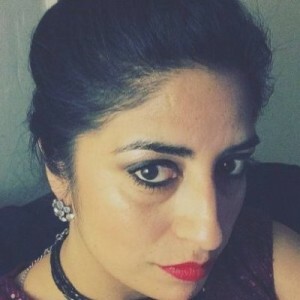 She has a BSE in Computer Engineering and Telecommunications Engineering, and an MSE in Electrical Engineering from the University of Pennsylvania. 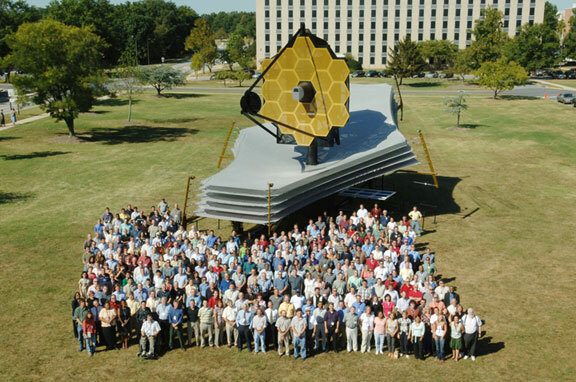 Hashima Hasan spreads the word about the Webb Telescope. Hasan is the James Webb Space Telescope Program Scientist and the Education and Public Outreach Lead for Astrophysics. 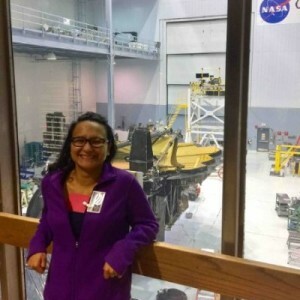 She monitors and manages the Webb’s science program for the Webb Telescope. In 1976, Hasan received a doctorate in Theoretical Nuclear Physics from the University from Oxford. Kalyani Sukhatme leads research on a Webb instrument. Sukhatme is the project manager for the Mid-Infrared Instrument or MIRI. It is one of the Webb’s four science instruments. She works at the NASA’s Jet Propulsion Laboratory and the California Institute of Technology in Pasadena, California. She has a Bachelor of Technology degree in Engineering Physics from the Indian Institute of Technology at Mumbai, and was first in her class. Her MS and PhD Degrees in Physics are from the UCalifornia at Irvine. 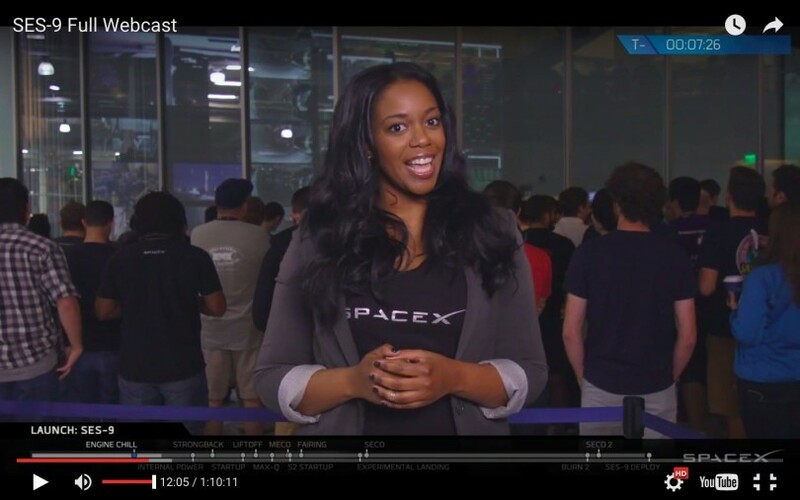 Meet a Double Major Engineer and Host of SpaceX Launches. She received her BSE in Mechanical and Aerospace Engineering from Princeton University in 2005 and her Masters in Public Policy, Business and Government Policy, with a focus on Science and Technological Innovation Policy from the Harvard Kennedy School of Government in 2013. 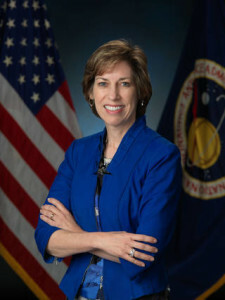 SpaceX hired Lyons in April 2015. She had worked at UN program on Space Applications, and at the NASA Jet Propulsion Laboratory. As an undergraduate student, she interned as a Production Intern at Warner Bros. Studios, and as Engineering Intern the NASA Jet Propulsion Laboratory. SpaceX launched its Falcon 9 rocket to deliver two tons of cargo to the International Space Station for NASA. It was SpaceX’s ninth mission under its NASA Commercial Resupply Services contract. Wanda M. Austin was a child math prodigy, who attended New York City’s Bronx High School of Science. 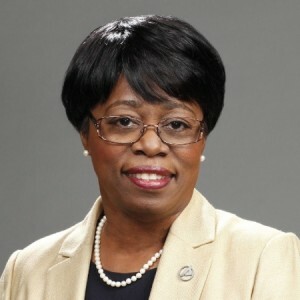 Since 2008, as President and CEO of The Aerospace Corporation (TAC), she has led 3,500 employees, 70 percent of whom have PhDs, to deliver technical guidance and advice on space missions to military, civil, and private customers. Austin, who earned her PhD in Systems Engineering at the University of Southern California, says she measures success by setting a plan, then executing it. She also received an MS in Mathematics and an MS in Systems Engineering from the University of Pittsburgh, and a BS in Mathematics from Franklin & Marshall College. Watch Wanda Austin speak about TAC’s 55th anniversary and about Rethinking STEM Education. Check out The Aerospace Corporation corporate video. Aerospace Corporation’s main customers are the US Air Force Space and Missile Systems Center, and the US National Reconnaissance Office, an intelligence gathering organization. Dara Norman researches black holes, and memorizes Monty Python scenes. NOAO is the research and development center for ground-based night-time astronomy. Norman is surprised that her career has been mostly as an observatory staff member and not a university professor, and she is glad for that split. At her geekiest, the Associate Scientist can quote whole scenes from Monty Python, and the hilarious Red Dwarf, a BBC sci-fi comedy series. 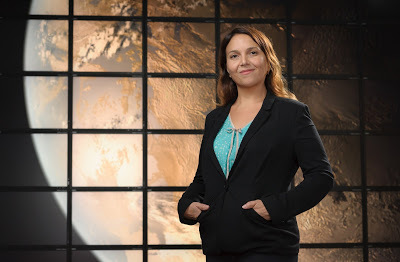 She earned her PhD and MS in Astronomy degrees from the University of Washington and her BS in Earth, Atmospheric and Planetary Science degree from the Massachusetts Institute of Technology. Podcasts: This American Life, Fresh Air, and Planet Money. Movie: Reservoir Dogs, Singing in the Rain, Eve’s Bayou, Cornbread, Earl and Me, The Ring, The Sixth Sense, Seven, and the original Bedazzled with Peter Cook and Dudley Moore. Musicians: Fishbone, The Pixies, Bim Skala Bim, Prince, The Temptations, Funkadelic. 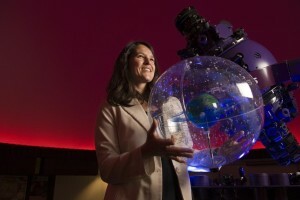 Elisa Quintana’s planetary research won her a Scientist of the Year award. Quintana is a NASA Research Scientist for the Kepler and Kepler 2 missions searching for, characterizing, and studying how extra solar planets develop. Her office is in the NASA Ames Research, in Moffett Federal Field, in Silicon Valley. NASA Ames is one of 10 NASA field centers that conducts research and development in aeronautics, exploration technology and science. Her unprecedented discovery was leading an astronomer team that confirmed Kepler-186f as “the first Earth-sized planet found to orbit within the habitable zone of another star.” That led to her receiving the 2015 Scientist of the Year at the 2015 Hispanic Engineer National Achievement Awards Conference. 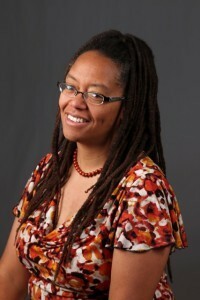 Quintana earned both her PhD and an MS in Physics at the University of Michigan. She also has an MS in Aerospace Science with a specialty in Astrodynamics from the University of Michigan, and a BS in Physics from the University of California, San Diego. She is a member of Society of Hispanic Professional Engineers. Annette Lee has a galaxy of celestial ideas and interests. Her MA degree in Astrophysics is from Washington University, St. Louis. An MFA in Painting is from the Yale University School of Art. A BFA in Painting is from the University of Illinois, Champaign-Urban, and a BS degree in Applied Mathematics-Physics Emphasis from the University of California, Berkeley. App(s): Sky Guide: View Star Night or Day. Book, graphic novel, online anime or web series: Wheel of Time, by R. Jordan. Movie(s) recent or past: Star Wars, Star Trek. Musical artist/group/song of the moment: Passenger, “Bloodstains” on the album- Flight of the Crow. Jane X. Luu shared a major prize in Astrophysics. The MIT Lincoln Lab is a federally funded research and development center in Arlington, VA, that applies advanced technology to problems of national security. In 2012, Luu, who was born in Vietnam, shared the Norwegian Academy of Science Kavli Prize in Astrophysics. It was awarded “for discovering and characterizing the Kuiper Belt and its largest members, work that led to a major advance in the understanding of the history of our planetary system.” The Kuiper Belt lies beyond Neptune’s orbit and may have many asteroids, comets, and other small bodies made of ice. 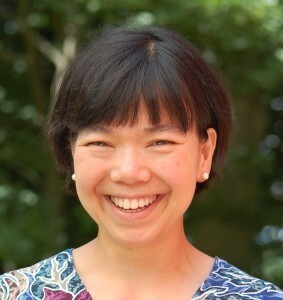 Luu earned her PhD in Planetary Astronomy and Science degree at the Massachusetts Institute of Technology, and her BS in Physics degree at Stanford University. Movies: Blade Runner, The Apartment, and some Hitchcock movies. Musical artist/group of the moment: Walter Martin, formerly of the indie band, The Walkmen. Web site: The New York Times. Laura Lopez has been awarded three fellowships in her field. Lopez’s focus is on the birth and death of massive stars and how these processes affect the surrounding interstellar medium. The Assistant Professor in the Department of Astronomy, at The Ohio State University studies star-forming regions and supernova explosions in the Milky Way as well as adjacent galaxies via data across the electromagnetic spectrum. Previously, Lopez was a Postdoctoral Hubble Fellow at the Harvard-Smithsonian Center for Astrophysics and an Einstein Fellow and Pappalardo Fellow in Physics at MIT. She has been a member of the Committee on the Status of Minorities in Astronomy of the American Astronomical Society (AAS). In 2016, Lopez received the Annie Jump Cannon Award in Astronomy. It is awarded for outstanding research and promise for future research by a postdoctoral woman researcher. Lopez earned her PhD in Astronomy and Astrophysics at the University of California, Santa Cruz and her SB in Physics from the Massachusetts Institute of Technology.